Festuca trachyphylla. Copyright © 2014 Derick B. Poindexter.Vascular Flora of Alleghany County, NC – vascularflora.appstate.edu.New England Wild Flower Society.gobotany.newenglandwild.org (Accessed 5/2014). 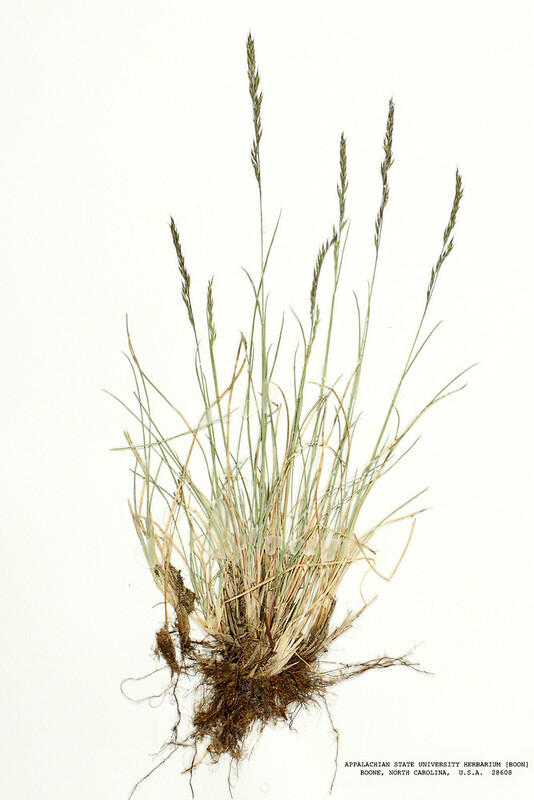 Festuca trachyphylla is a perennial grass much like F. ovina. Leaves alternate, rough textured, about 0.1 cm wide. Flower spikelets 0.7-1 cm long 4-8 flowered, lemmas 0.4-0.5 cm. Habitat: Open areas, lawns, roadsides. Weedy turf grass of open areas.